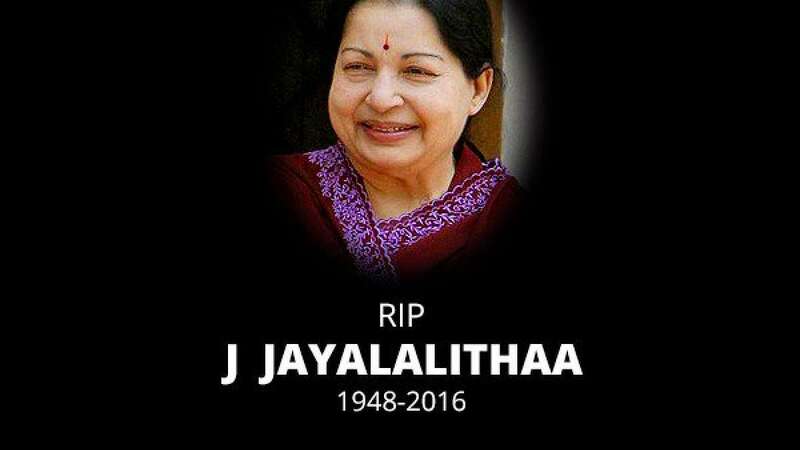 Chennai : Tamil Nadu Chief Minister and beloved Amma, J Jayalalithaa, passed away on Sunday night in a Chennai hospital, she was admitted there for about last three months. 68-year-old Ms Jayalalithaa had a cardiac arrest on Sunday evening and was rushed to Intensive care unit (ICU). Two weeks ago, doctors had declared her complete recovery from the respiratory illness and had moved her out from the ICU. "It is with indescribable grief, we announce the sad demise of our esteemed honourable chief minister of Tamil Nadu at 11:30 pm (local time) today (December 5)," Chennai's Apollo Hospital said in a statement released to the media after midnight. Prime Minister Narendra Modi shared his condolence via social media," "Deeply saddened at the passing away of Selvi Jayalalithaa. Her demise has left a huge void in Indian politics. My thoughts and prayers are with the people of Tamil Nadu in this hour of grief. May the Almighty grant them the strength to bear this irreparable loss with courage and fortitude," adding, "Jayalalithaa ji's connect with citizens, concern for welfare of the poor, the women and marginalized will always be a source of inspiration." Ms Jayalalithaa was admitted to Apollo Hospital on September 22 after she complained of dehydration and fever. Specialists from Delhi's AIIMS hospital and a pulmonary expert from London were flown in for consults.